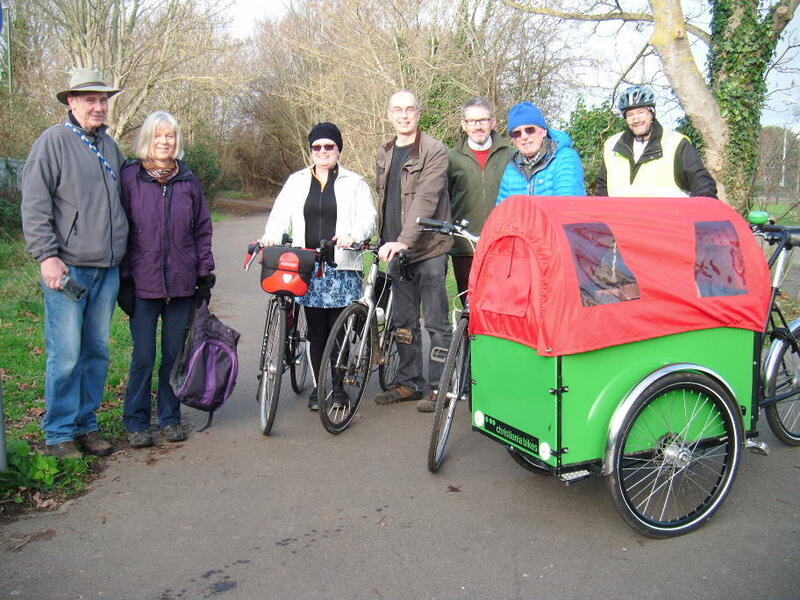 A family friendly led bike ride along the traffic-free Centurion Way on Saturday 11th May. Meet at the bottom of Centurion, near the entrance to Bishop Luffa School on Westgate at 2 pm. 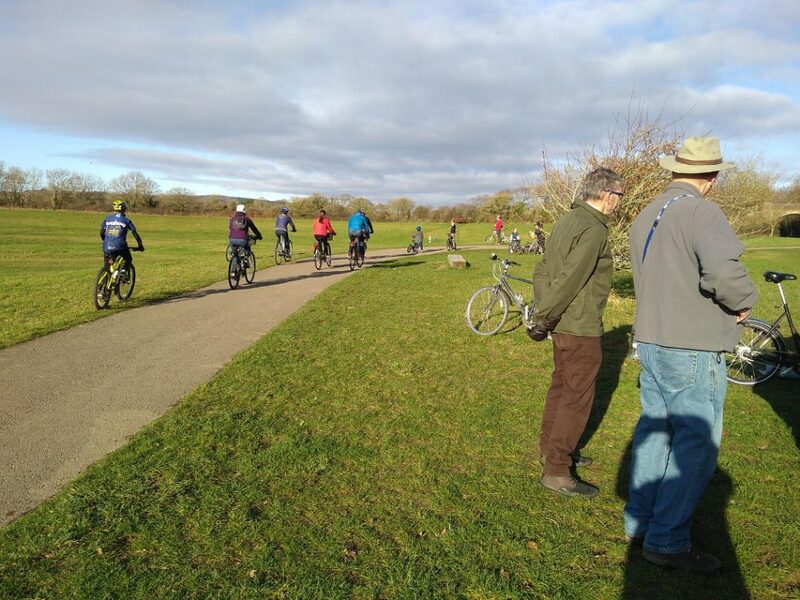 The ride will be at a gentle pace, stopping to look at a few interesting things along the way and is about 1½ miles in total, up to the ampitheatre where the Centurions are, near Hunters Race. 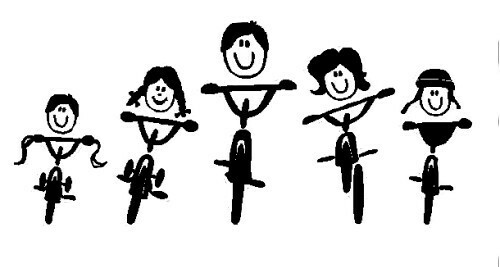 All participants will get a free cycling badge, with a prize for the best decorated bike/rider. Spaces are limited, so book now. Click Here To Book Now! Help the Centurions safeguard this much loved walking and cycling path for future generations! Who Join a Team or make a Team of Six. Entry £5 per person payable in advance to include some snacks and prizes. 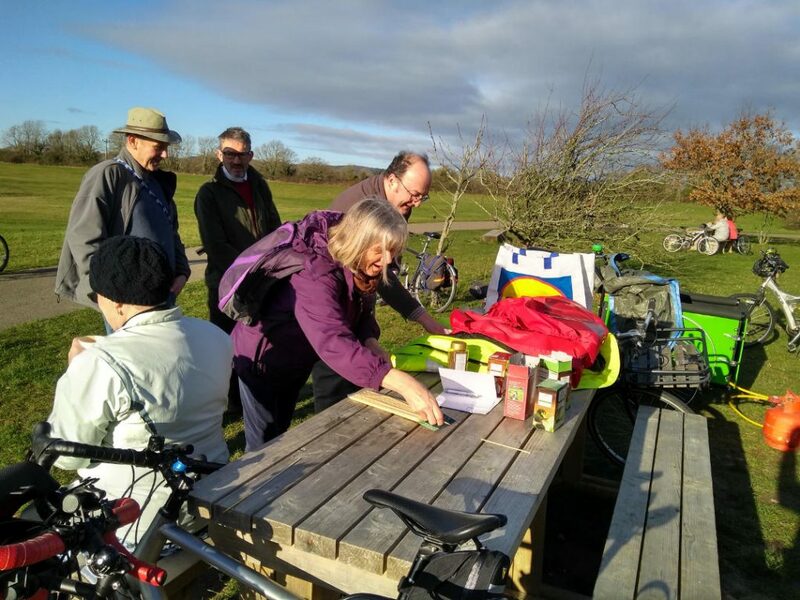 We are fundraising to buy counters to track pedestrian and cycling users on the southern end of the path – vital baseline data if the path is to be diverted! 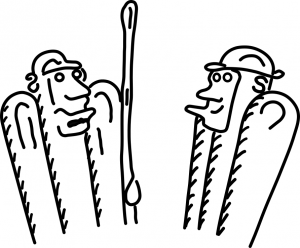 Now you can buy your Pub Quiz tickets on line! Don’t have time to send Philip a bank transfer or cheque ? Why not click our Add to Cart button and purchase your Pub Quiz tickets through our Paypal e-commerce link! On the right hand side of your browser screen there should be a PayPal button allowing you to conveniently to purchase tickets. You may need to scroll up and down to find it. If you are using a mobile device you may need to scroll down a long way to find the button at the bottom of the page. The Friends of Centurion Way will be holding an Easter Egg Hunt for delicious chocolate. 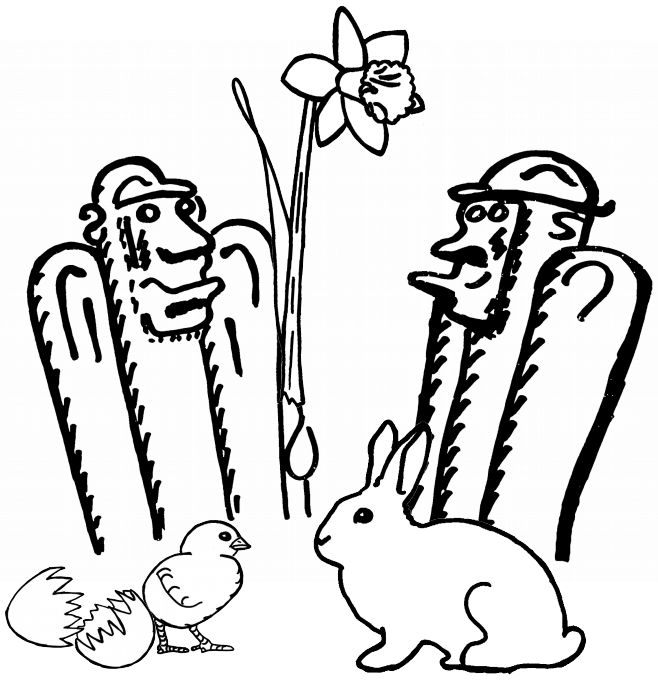 There will also be a “Name the Bunny event” where a lucky participant can win their own genuine Easter Bunny! Come and join us between 2 till 4 pm on Saturday the 13th of April. 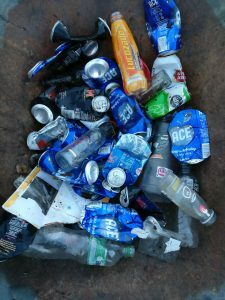 We will be meeting by the railway footbridge. Look forward to seeing all of you and your families there. The Chichester Post ran a story on the Gingerbread Hares Event available to read here. 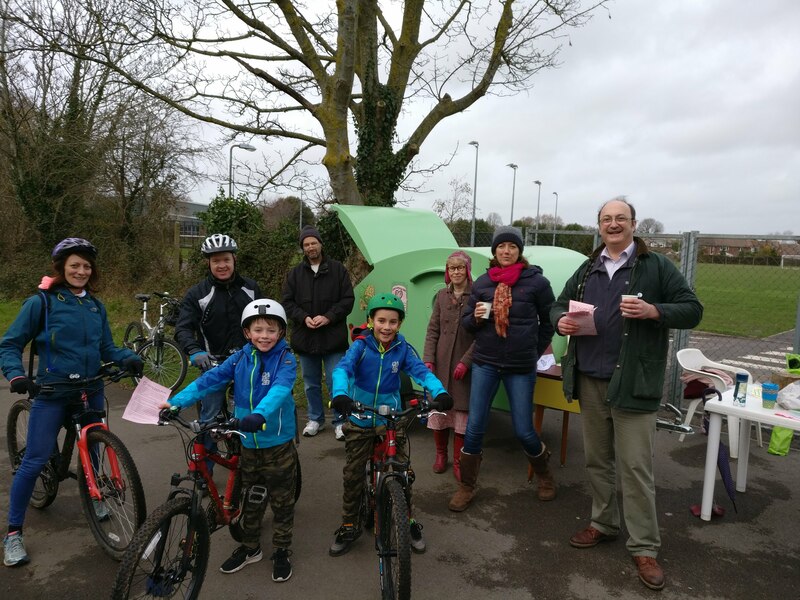 FoCW are holding an early Springtime event on the path by the Tesco footbridge to raise awareness of the continuing threat to centurion way from development. Please come lend a hand giving out leaflets and informing local people about our campaign to preserve and enhance the path. Hot drinks will be available for supporters and public alike. We are not yet sure who will be baking the gingerbread hares. If this kind of baking is a way you would like to support this local community action, then please contact Ian Bartle so we can co-ordinate efforts. The plan is for everyone to meet up on Saturday the 9th at 2pm and the event should run for approximately two hours. 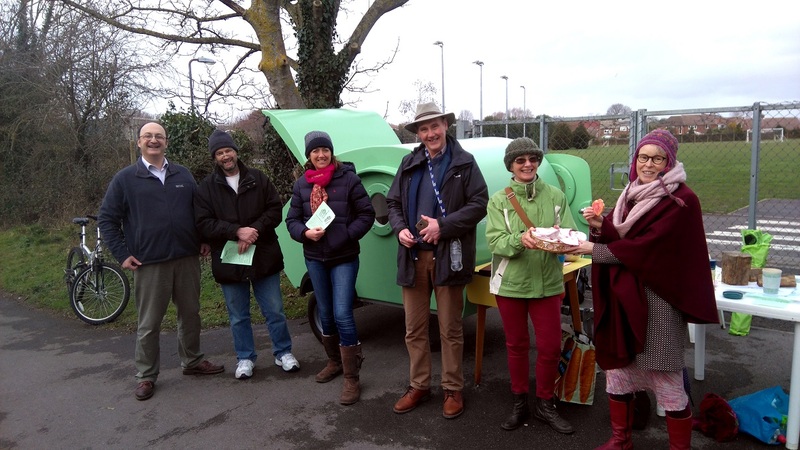 The Friends of Centurion Way held a Valentines Love your Path event on Saturday February the 9th and for a cold mid February day the path was especially busy. We handed out lots of leaflets to passers by highlighting the development threats to the southern end of the path. We also made people hot drinks to help warm their hearts. 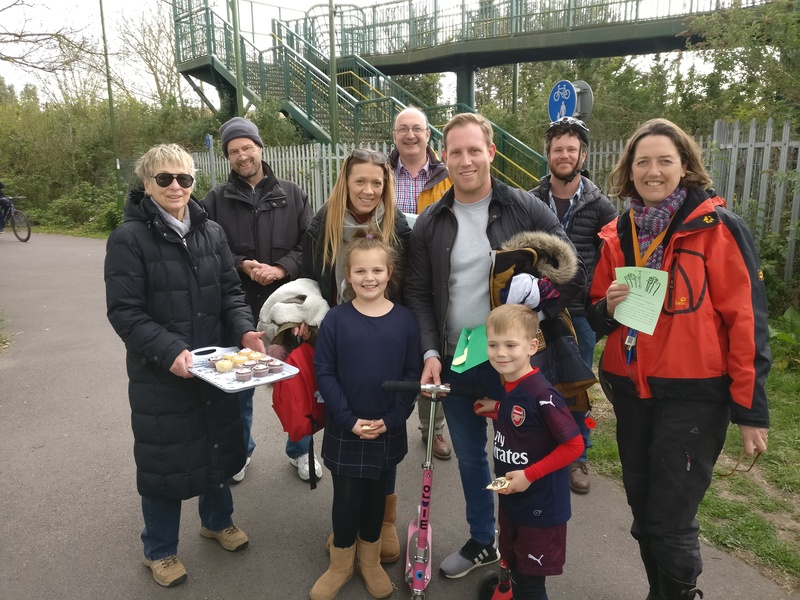 We met many happy but slightly muddy youngsters enjoying vigorous healthy exercise with their families and shared some delicious heart shaped biscuits with them to help boost their energy. 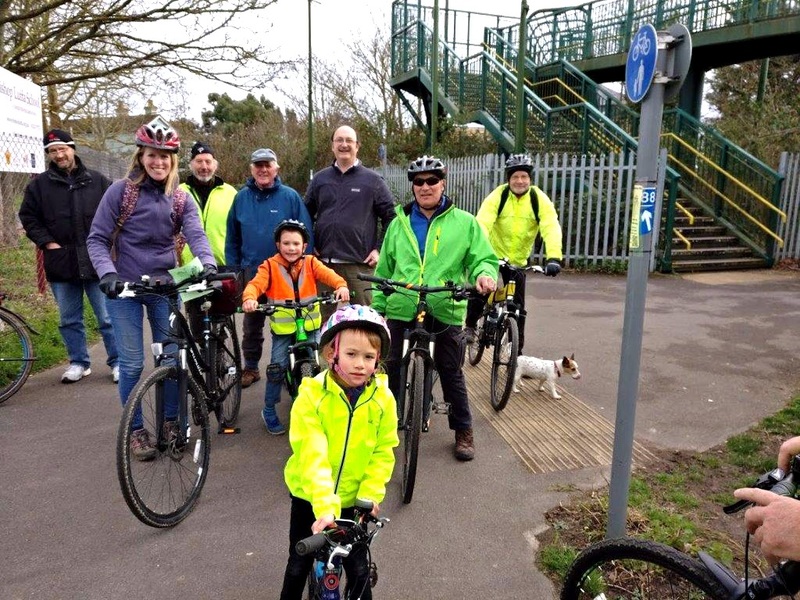 At least one family brought bicycles, fixed to a bike roof rack from Bognor Regis so they could enjoy a bike ride together. 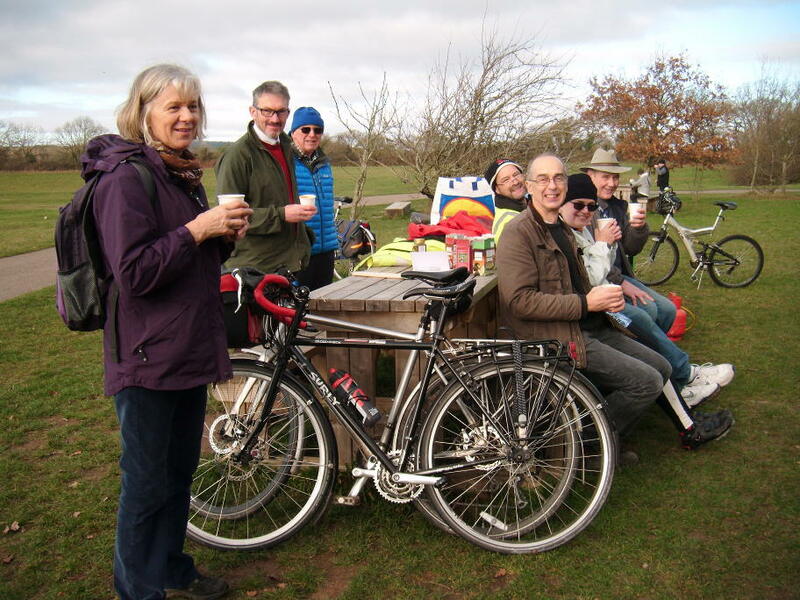 Centurion Way is such a wonderful shared footpath cycle-way leading into the beautiful South Downs that people are willing to travel a long way to visit this environment where they can cycle safely. 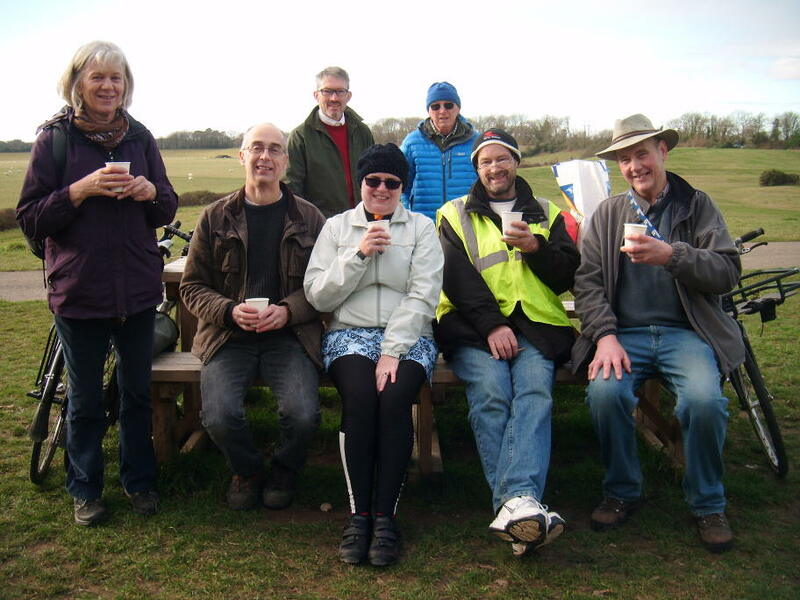 There are now plans to extend the path further North to Cocking but it is already a great ride up from Chichester to West Dean where the local store offers excellent toasted sandwiches, pastries and coffee. A handy tip for any tourists wanting to cycle Centurion Way is the excellent local bike shop in Fishbourne http://www.barreg.co.uk/ who do very reasonable bike or tandem hire. They are only a short walk from Fishbourne station. 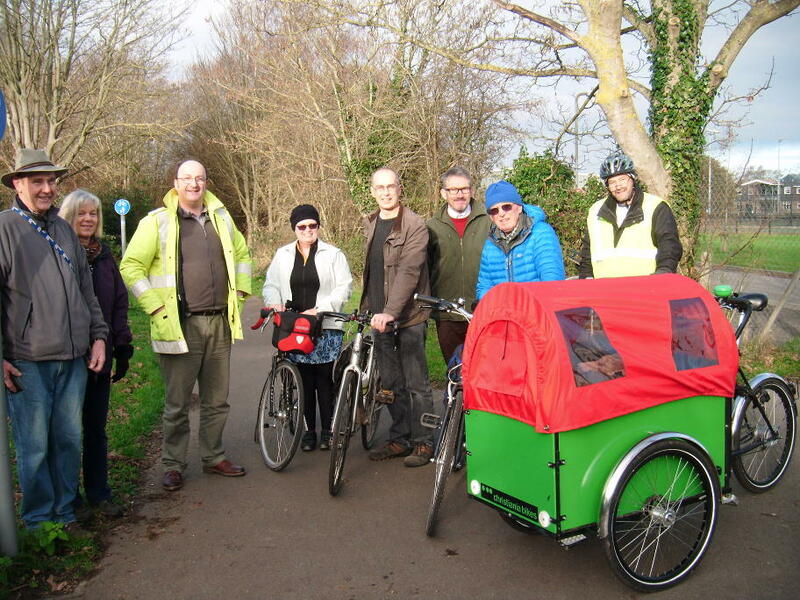 The Friends of centurion way are interested in researching the biodiversity of the path. Records of which could help the achieve path classification as a wildlife corridor? 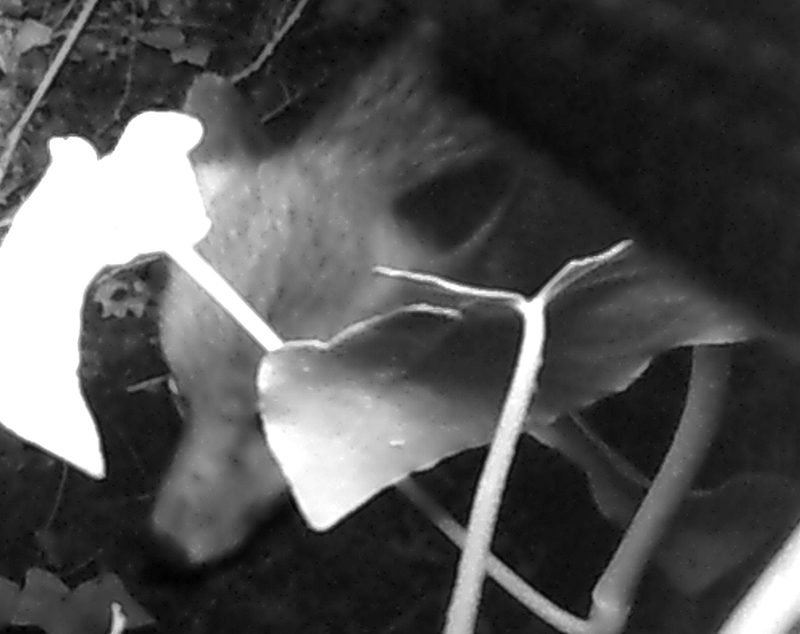 Philip Maber has invested in a miniaturised infrared wildlife camera that will occasional be located where animal tracks can be seen by day, so we can discover what goes there by night. 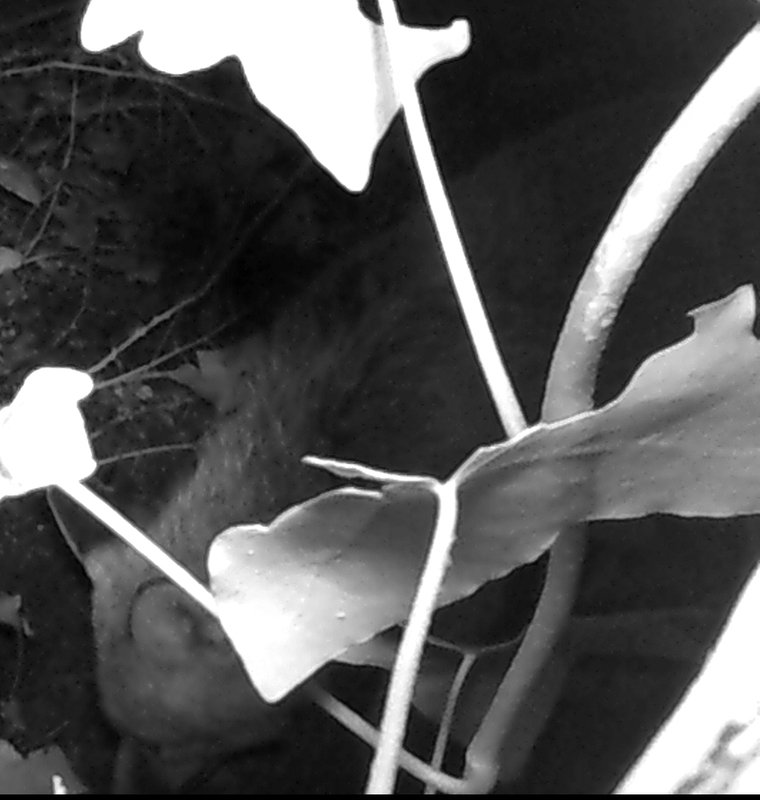 We have photographed a fox already. Hopefully we will discover a variety of wildlife that follow our path while we are sleaping. 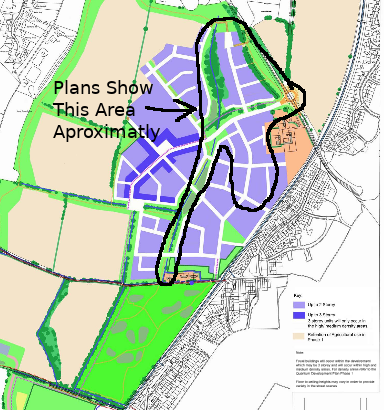 On the 31st January between 3pm and 7.30 Linden and Miller homes will be presenting plans for their “Reserved matters proposals for two residential applications (circa 160 homes) and sports pitches”. We recommend anyone interested in the planning of the new development attends. For full details of the event you may go to the developers information page here. Unfortunately the plans are sparse on detail showing any provision for pedestrians, people using prams, cyclists, or mobility scooters. There will be detail showing a short (approximately 250 meter) northern section of the proposed developments spine road. It is shown joining a roundabout off the Old Broyle Rd. The north-western side of the spine road section will carry a combined footpath and cycleway. However the plans don’t give indication of how non motor-vehicle traffic should negotiate the roundabout when new residents wish to visit existing parts of the city. No indication of pedestrian crossings are shown on the plans on what is likely to become a busy road as the estate nears completion. The plans will outline a boardwalk path that travels roughly north-north-east/south-south-west through a section of proposed green corridor. This section looks appealing for pleasure walks but appears unsuitable for prams cyclists, or mobility scooter users. This path joins Newlands Lane which could then be used to access Centurion Way if pedestrians don’t mind walking a huge zig zag route. It might make an appealing route for a leisure walk onto centurion way. The Liaison meeting discussed the area outlined in the image below. Many of the people who attended the meeting appeared frustrated that so little detail of the wider developments road layout was shown or explained. An important point was established regarding access for people onto Centurion Way. It was agreed that the park area is not intended (and will in fact not be suitable) for cycle, pram or mobility scooter access. This is because all access to it is via sprung gates. The main purpose of this area appears to be for dog walking and the sprung gates are presumably to prevent disobedient dogs running away from their owners. The boardwalk pathway through the green corridor area was described as a potential cycle route by the Linden Miller representatives. However this statement appears to have been made in error as close inspection of the plan shows a narrow and tightly curved pathway that would be unsafe to use as a cycle way. The only access to dwellings currently shown on the plans, available to cycle, pram or mobility scooter users wanting to reach existing parts of the city, would be by negotiating a new roundabout off the Old Broyle Rd. Personally I would find cycling around such a roundabout an intimidating prospect at night or during rush hour. I don’t think I would attempt to negotiate this route if I had a pram or mobility scooter. Pedestrians from the new dwellings will have an alternative route to follow into existing parts of the city and onto Centurion Way via the green corridor boardwalk pathway. However this route would be particularly convoluted following a huge zig zag course. There was no indication of new access ways directly onto Centurion Way that new residents could use to enjoy our path. The Linden Miller representatives stated that the cycleway along the spur road would have priority over traffic wishing to turn onto the adjoining streets. I find it difficult to imagine this being be a safe arrangement and I would personally lack the confidence to use such a pathway myself as a cyclist. It seems likely this unusual right of way for cyclists would not be recognised by motorists potentially leading to death or injury to a cyclists. From a motorists point of view I would also feel anxious about this arrangement. If many people are using the pavement it would be extremely difficult for a motorist to distinguish a cyclist about to cross a junction. It is also unclear how cars would approach a junction during times of heavy traffic. Would cars wait at the road junctions 3 meters from the road to allow cyclists to freely pass. I consider myself pro cyclist but I can’t imagine I could practically drive in such a way during pressured rush hour traffic. My gut feeling is that the cycle provision outlined in the plans falls a long way short of the standard of safety provided for cyclists by Centurion Way. I will ask Linden Miller representatives for precise details to how the junctions will be laid out so we can better understand how the various forms of traffic using the spur road will avoid conflict. Can you provide Biodiversity Records so we can have Centurion Way Classified as a Wildlife Corridor? 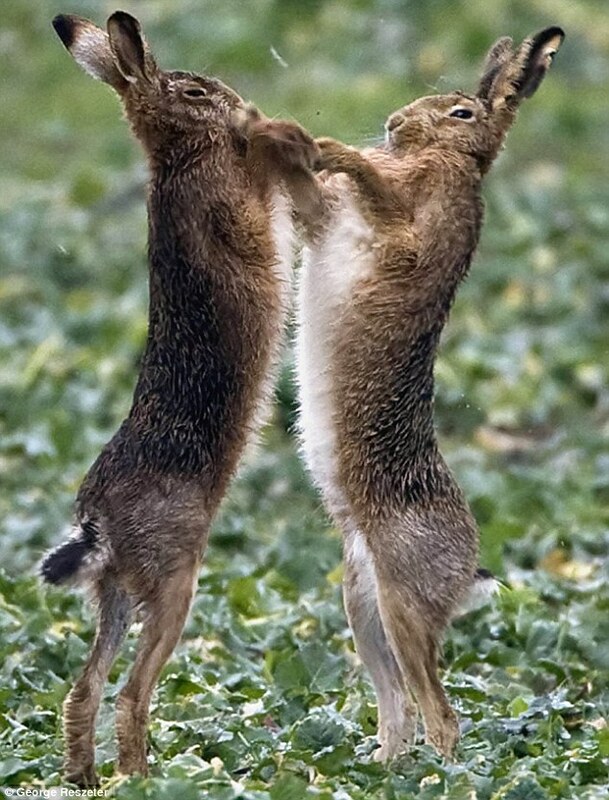 Sarah Hughes is the Community Wildlife Officer for Chichester District Council. 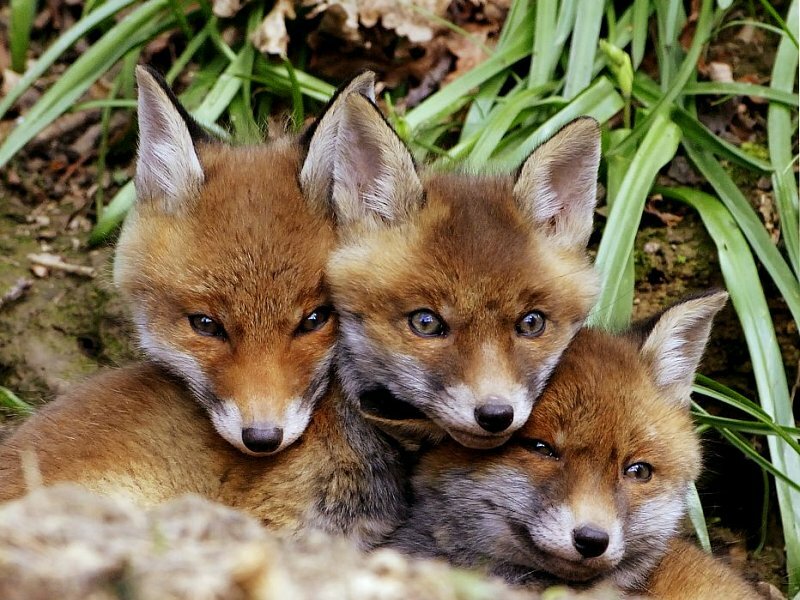 She has contacted Sarah Sharp (our Green City Councillor) to ask if she knows local people who can give information about types of animals that use ‘Wildlife Corridors’ in the Chichester area. 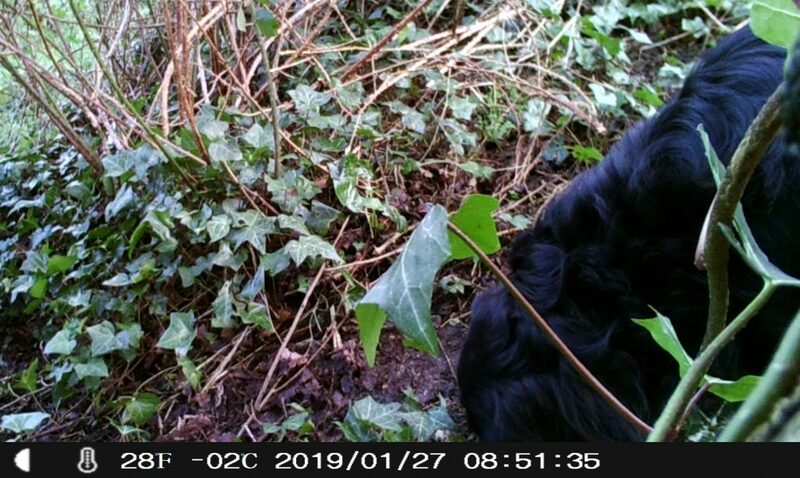 If path users can report what wildlife is seen on Centurion Way (or the land immediately surrounding it), then we may be able to have the path classified as a ‘Wildlife Corridor’. Obtaining this classification for the path will certainly help in our campaign to protect the path from development threats. 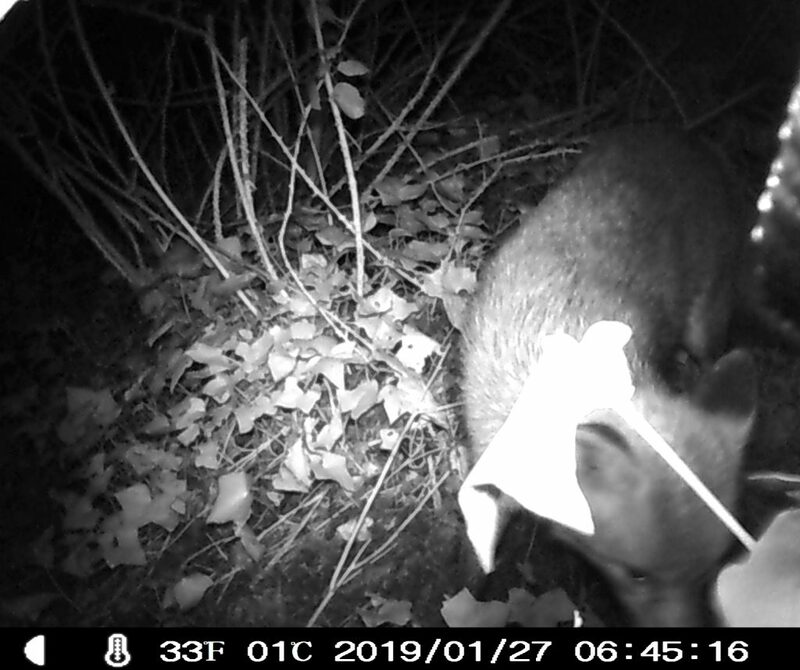 1) Can you help with providing biodiversity records that will help us further improve the evidence base for the wildlife corridors (even if you have recently submitted them to the SxBRC or other biological groups)? 2) Can you record further biodiversity on these vital wildlife corridors? We will need the data before summer 2019 in order for the evidence to be in time for the plan’s submission to the independent examiner. 3) Can you support our proposed wildlife corridor via the consultation portal. The cargo trike easily hauled a stove and plenty of ingredients for hot drinks. So many people were out on the path it was difficult for the group to stand still on the path long enough to take their photos.